How about this shopping list: A $400 phone. A $600 stove. A $74,000 car. 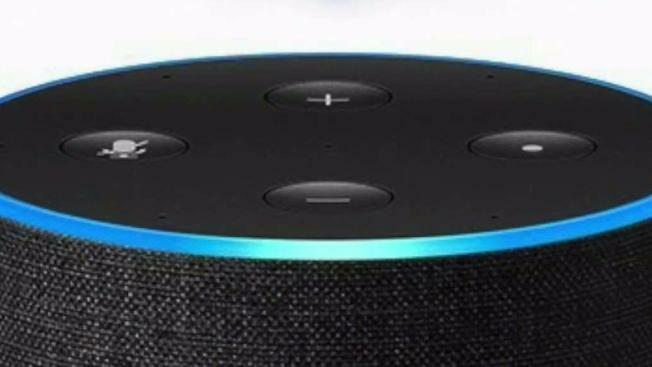 Those are some of the products recommended when NBC Bay Area Responds asked Alexa, the voice and brain behind Amazon Echo smart-speakers, for some buying advice. The answers we got were not at all random -- and not expected. When it comes to basic facts, Alexa produces straightforward, objective answers. Ask Alexa for the weather in San Francisco, for example, and it will reply with the current temperature and forecast. Ask Alexa to name the president, and it will answer, "The United States President is Donald Trump." NBC Bay Area found Alexa has a mysteriously subjective side, too. We asked, "Alexa, what's a good coffee maker?" The answer: "I'm a fan of [the ]Keurig K55 single-serve programmable K-Cup Pod coffee maker." Alexa also has a favorite smartphone: "Well, in my opinion, it's Samsung Galaxy S7 Edge." There's a preferred car: "My favorite is Tesla Model S."
It even favored a prized credit card. When we asked "Alexa, what's a good credit card for me?" Alexa replied, "My favorite is definitely Chase Sapphire Reserve." We asked the same questions on different devices, with different Amazon accounts, in different locations. Alexa always recommended a Tesla, a Keurig, a Samsung, and the $450-per-year Chase card. Research by the American Bankers Association found Americans already carry 164 million credit cards, and just over $1 trillion in debt. Levi King, CEO of business credit management firm Nav, says Californians should shop around for credit cards, rather than simply take the recommendation of a smart device. "When a consumer is making a financial decision that's going to have an impact on their livelihood. We think it's a good idea to look at options," King said. We suspected Alexa's affinity for Chase in particular was just a new take on a radio advertisement. But JPMorgan Chase told us it does not buy ads on Alexa. A Chase spokesperson told us, "We are excited that Alexa recommends a Chase card, and [we] discovered it in the same way you did ... by asking her!" So, we went back to Alexa for answers. We asked, "Alexa, why did you recommend a Chase Sapphire Reserve credit card to me?" The reply: "Hmm. I don't know that." For a human answer, we called Amazon. A representative told us none of Alexa's recommendations is an ad, and there's no deliberate action by programmers to make Alexa mention those brands. Amazon later provided a written statement to NBC Bay Area, saying, "Alexa's opinions are not a product placement or advertising -- theyre simply an extension of Alexa's personality." There's potential in that "personality". That's why NerdWallet, a finance website, is working on ways to give its users credit card recommendations in the form of a Q&A with Alexa. Kevin Yuann, NerdWallet's vice president of credit, says his team came up with an Alexa skill -- similar to an app -- based on ordinary conversations users might have. "Most people go to their friends and family for financial advice," Yuann said. "Digital assistants like Alexa most closely mimic that interaction and dialogue." NerdWallet says 39 million U.S. homes have smart speakers like Amazon Echo. That's likely fertile ground for advertisers. Larry Sokoloff, a professor of media law at San Jose State University, says if voice gadgets add product placement, customers need to know. "We like to, as Americans, have as much disclosure as we can about advertising," Sokoloff said. But Sokoloff fears future ad disclosures will likely be buried in legal language. "We're so excited, we don't look in the fine print," he said. King, the CEO of Nav, sees speaker systems learning from your questions to provide better answers -- and, potentially, highly-personalized advertising. "If you're going to tell Alexa a lot of things about yourself, just assume Alexa is going to do a lot of things with that information," King said. "It's buried somewhere in the T's and C's." By "T's and C's", King was referring to Terms and Conditions -- the often lengthy, densely-worded legal agreements seen with many products and services. Terms and Conditions, also sometimes known as Terms of Service, aren't fun reading for most of us -- but all consumers should make sure they're familiar with these legally-binding agreements with any products they use.